The mourning dove is one of the most abundant birds in North America. It was formerly known as the Carolina Turtledove or the Carolina Pigeon, but nowadays it is called the American Turtle Dove, Western Turtle Dove, or the Rain Dove. It is also the most popular gamebird, with more than 70 million mourning doves shot by hunters throughout the USA – both for its meat and for sport. There are 5 different subspecies of mourning doves. These are all endemic to a particular area within North America. It has a range of about 6.8 million square miles, and is a resident of the Greater Antilles, Mexico, USA, and southern Canada. In Canada, the birds are seen only in summer. In southern Central America, the birds are usually only seen in winter. It has sometimes been spotted in northern Alaska, Canada, and South America. They have also been spotted in the British Isles and Iceland. They were introduced into Hawaii in 1963, and there is still a small population of mourning doves in North Kona island. This bird prefers living in open and semi-open habitats such as prairie, farms, urban areas, lightly wooded areas, and grassland. It avoids thick forests and swamps. It is well adapted to humans and will actually nest in trees in the city or near farmsteads. 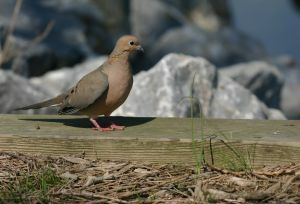 The mourning dove is a medium-sized bird that is a bout 31 cm long. It weight about 4 to 6 ounces. 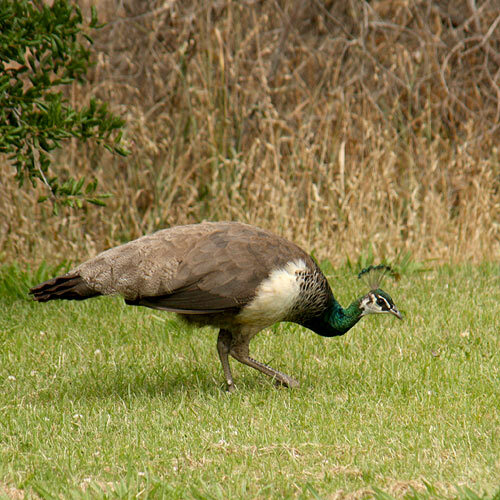 It has a rounded head, broad wings, and a long and tapered tail. 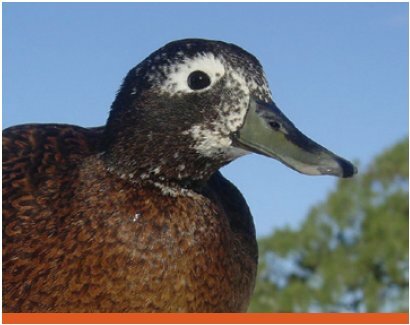 Its beak is short and dark, while its legs are short and reddish. 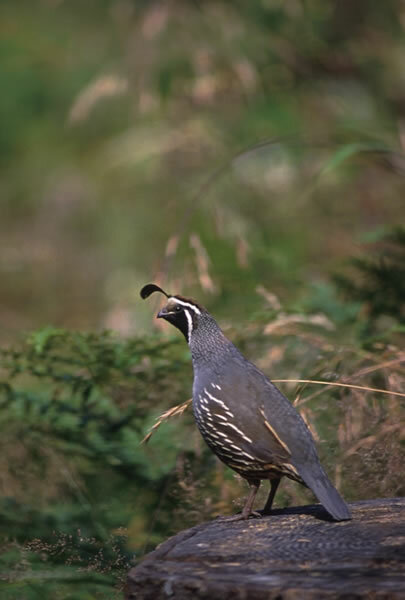 Its plumage is a light grey-brown, its wings have black spots, and its tail feathers are white. Adult male mourning doves have bright pink-purple patches on its side, and light pink colouring up to its breast. All 5 subspecies look quite similar to each other, and therefore are not easily distinguishable from each other. It is thought that there are about 475 million mourning doves present in the world. This enormous population coupled with its vast range is why the mourning dove is considered to be at least concern, as it is not at immediate risk of dying out. Even though it is one of the most popular gamebirds, it is well-managed. Mourning doves have played a part in Americana. 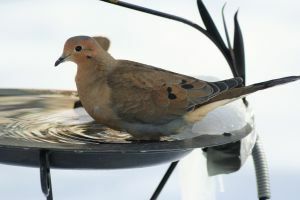 The Eastern Mourning Dove is a symbol of peace in both Wisconsin and Michigan. It also appeared as the Carolina Turtledove on plate 286 of Audubon’s Birds of America. They have also appear on a frequent basis in Native American literature. They have also appeared in contemporary American and Canadian poetry, such as works by Charles Wright, Lorine Niedecker, Jared Carter, and Robert Bly.